With many startups burgeoning across the country, it certainly requires out-of-the-box ideas to make your mark and survive the cut-throat market competition. It takes time, patience and an enormous amount of business insight to become successful. Keeping innovation at its centre, the newly-launched Danish startup Hilfr has come up with an unconventional concept that’s surely a recipe for success. Hilfr is not an employer. 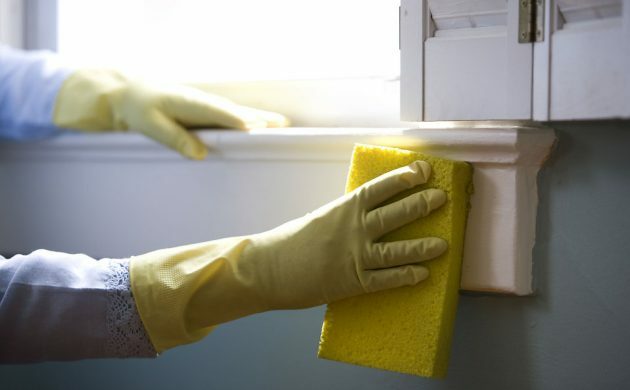 It is basically a platform and a market that connects people who want to render their cleaning services and those who want to hire cleaning help. There are many companies that offer similar services, but what makes Hilfr different is its commitment towards ensuring that the cleaning assistants get competitive wages. In short, the company refuses to compete on poor working conditions. Frustrated by the absence of good and competitively-priced cleaning services, a group of five like-minded individuals – Niels Martin Andersen, Steffen Wegner Mortensen, Dennis True, Nicolai Søndergård Kjær and Esben Bjerre Hansen – put their heads together and came up with the idea of Hilfr. “We realised that Danes who are looking for cleaning jobs are often left with ‘undeclared work’, while those who are seeking cleaning services have to turn to traditional cleaning companies that are either too expensive or unwilling to clean private homes,” explained Andersen. Keeping the ongoing situation in view, Hilfr has decided to provide a customer experience similar to that of Uber and Airbnb, but with more respect to the people who do the actual work. That’s why the minimum pay set by Hilfr is in line with the Danish minimum salary (collective agreement) and can be increased if the customer ratings and reviews of the cleaning experience justify it. “For us at Hilfr, it’s very important to treat people well and offer decent working conditions and remuneration,” continued Andersen. Like any other startup, Hilfr also had to undergo some critical phases and it took the crew about a year to work on the idea before formally launching the beta version of their company’s website. “There were problems, but we are blessed to have some very IT-savvy people on board. This means we can quite easily fix technical glitches and adjust our website according to the needs of the users,” added Mortensen, another co-founder. Owing to its unique business model in the cleaning services domain, Hilfr aims to become the number one platform when it comes to cleaning services. According to the owners, people will choose Hilfr for three reasons. First, this platform is easy to use. Second, people can always find professional and customer service-orientated individuals to clean their homes. Finally, and perhaps most importantly, people will know that Hilfr plays by the rules of fairness and transparency, so it’s definitely a worthy choice. “In short, we want Hilfr to be the default option when people are in need of cleaning services,” Mortensen said. Why should one sign up for Hilfr? Unlike other cleaning companies, Hilfr offers complete flexibility to its cleaning assistants. Therefore, people are free to decide their own working hours. Whether one is a student or a retiree, or just someone looking for work to make some extra money, Hilfr comes to help with an efficient and easy-to-manage platform for everyone. Once someone decides to sign up on hilfr.dk, they will know beforehand that they will get fairly compensated for their hard work (minimum salary is 150 kroner per hour). After each cleaning job, the customer will rate the provided service based on friendliness and effectiveness. “With the right attitude, we’re sure that most people will receive excellent reviews that will, in turn, enable them to increase their own salary and get more tasks,” said Andersen. Why should cleaning service seekers use Hilfr? With many cleaning companies out there, as aforementioned, it was definitely a concern to motivate people to use Hilfr. However, with the recent launch of the company, a lot of people are already showing interest, so the company owners are very optimistic at this stage. “Despite the optimism, we are also very grounded and realistic. Many Danes have grown accustomed to bad service, expensive cleaning and, in some cases, to the ‘shadow economy’,” informed Mortensen. As the founders are all very young and have limited means, they still believe that with the right ideas and attitude, running a successful startup is possible. “The money we earn is invested in the company. It’s much more fun running a startup than going shopping, so we don’t regret that decision,” Andersen added.